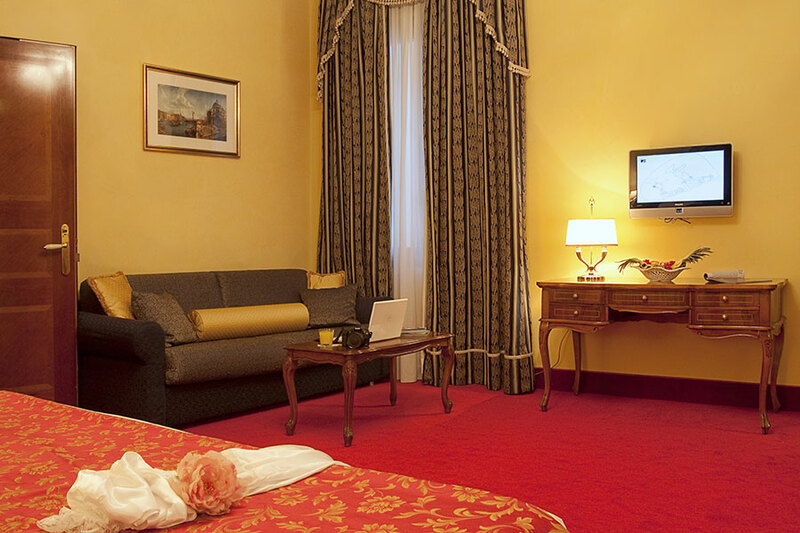 All our Junior Suites are spacious and unique with personalized furniture, carefully designed with supreme style and grace. 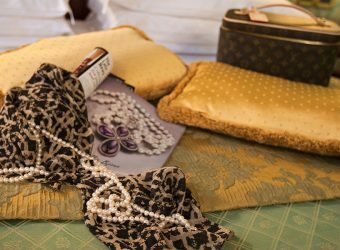 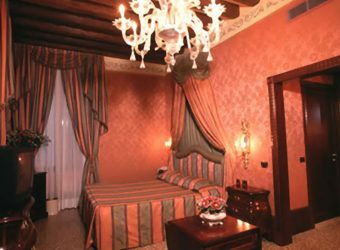 Some of them in Venetian Style with velvet and brocade and equipped with bathtub hydro-massage, some others in a more classical style equipped with Shower/Turkish bath. 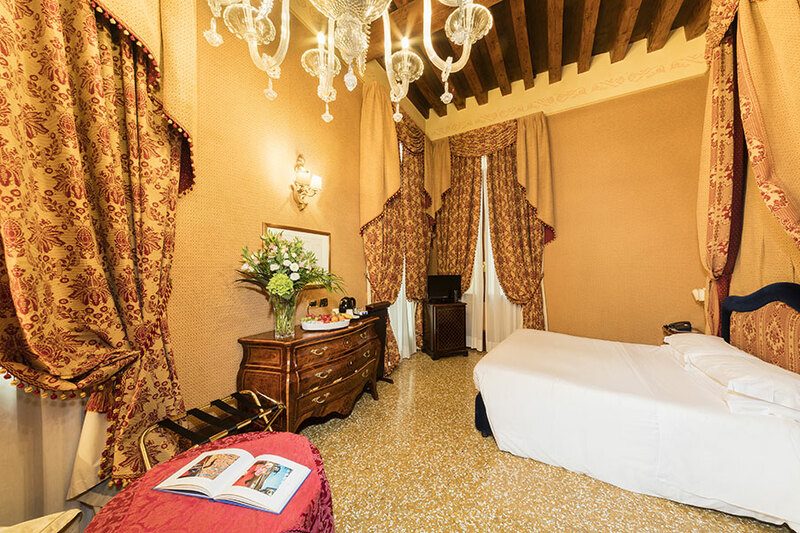 They overlook the typical Venetian streets. 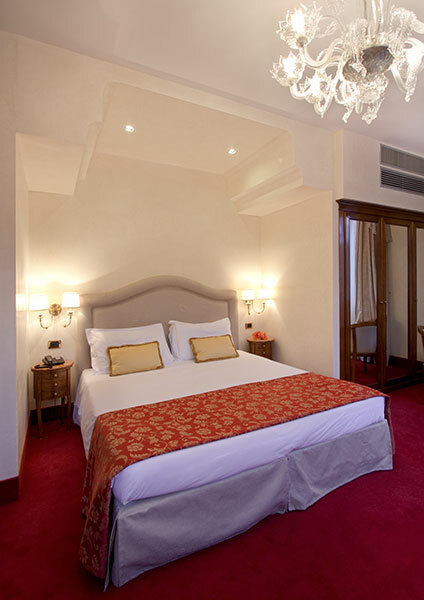 Each Junior Suite is furnished with refined style, to create a rich and elegant space. 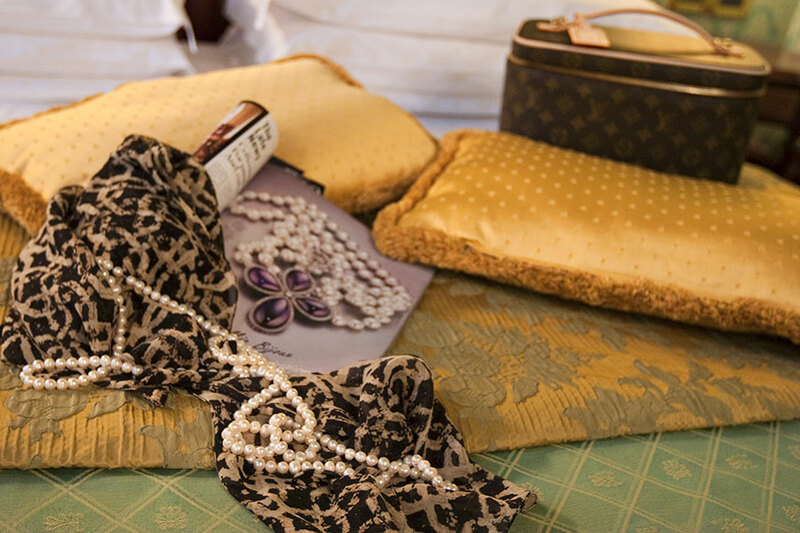 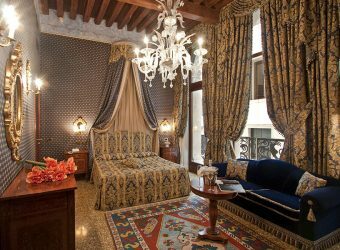 The creative use of silk, velvet and brocade emphasizes the romantic flowing shapes and the rich character of premium fine furniture. 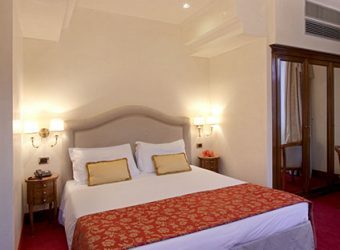 Rooms are spacious and unique, each with its own décor and color theme. 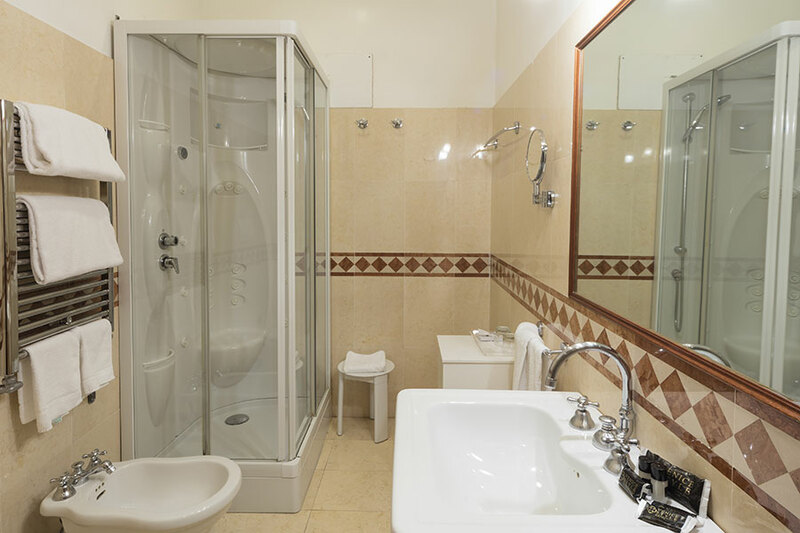 The stylized bathroom are equipped with a modern bathtub hydro massage. 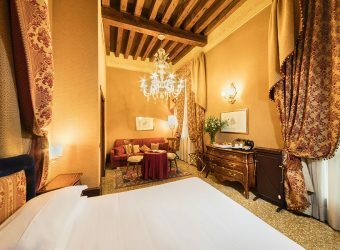 Special attention to the Junior Suite Gritti with Blue & Gold colors, with spacious balcony overlooking the “Rio of Palazzo Ducale”. 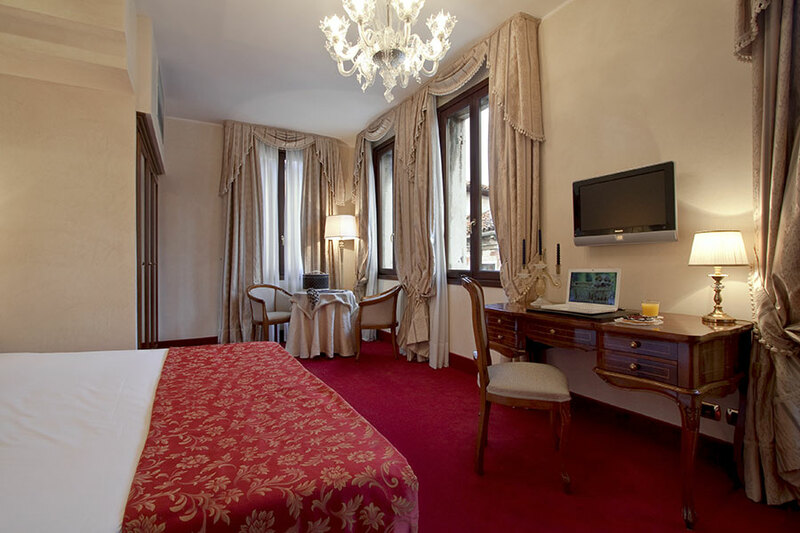 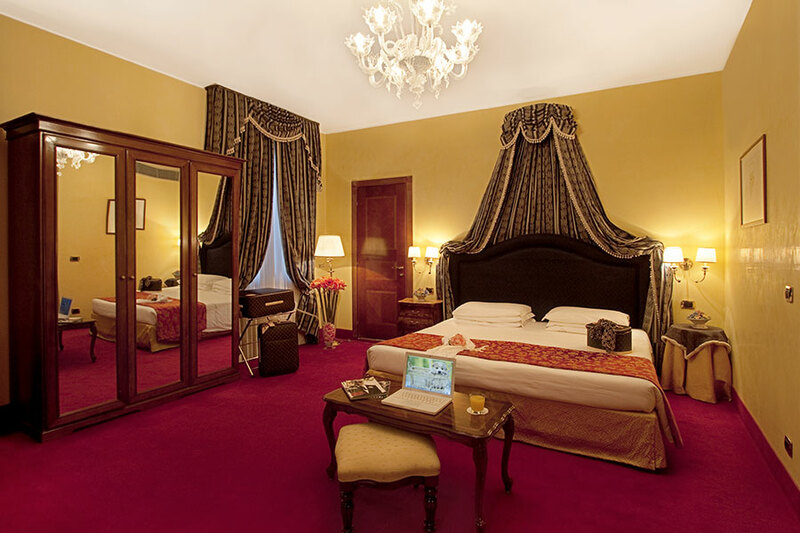 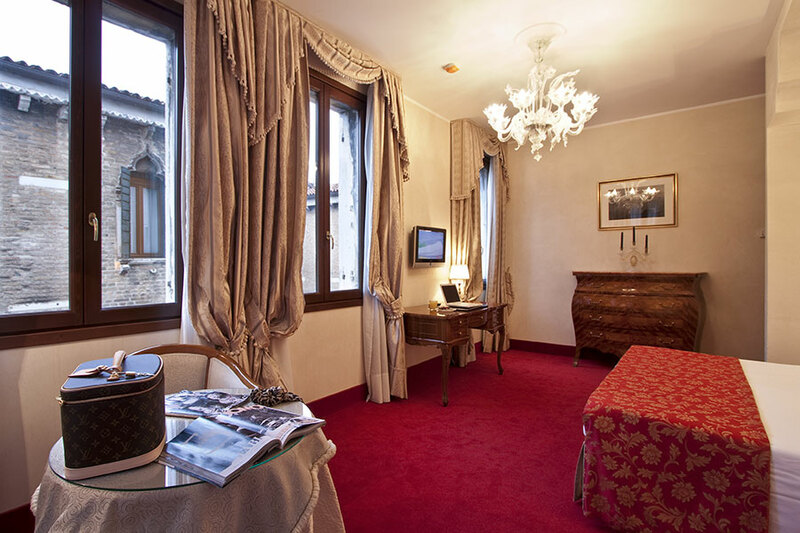 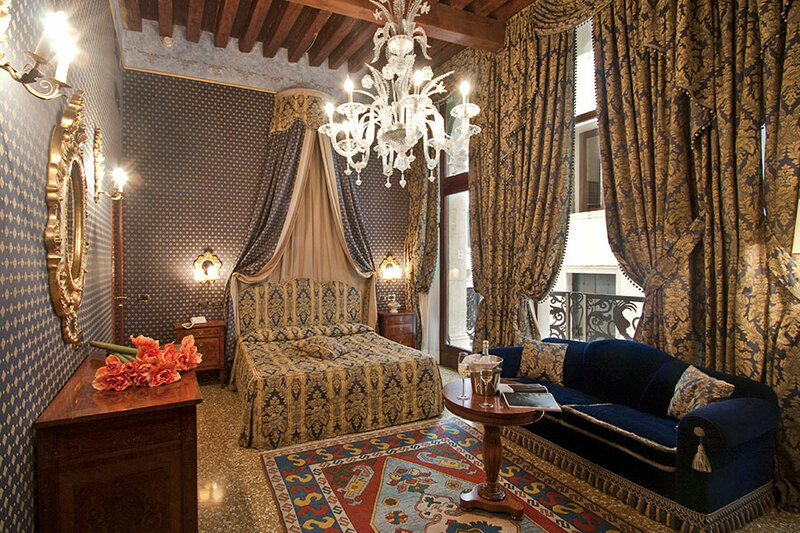 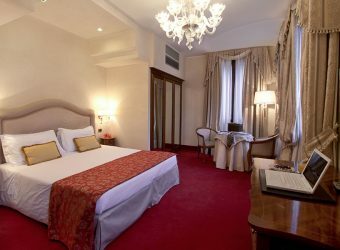 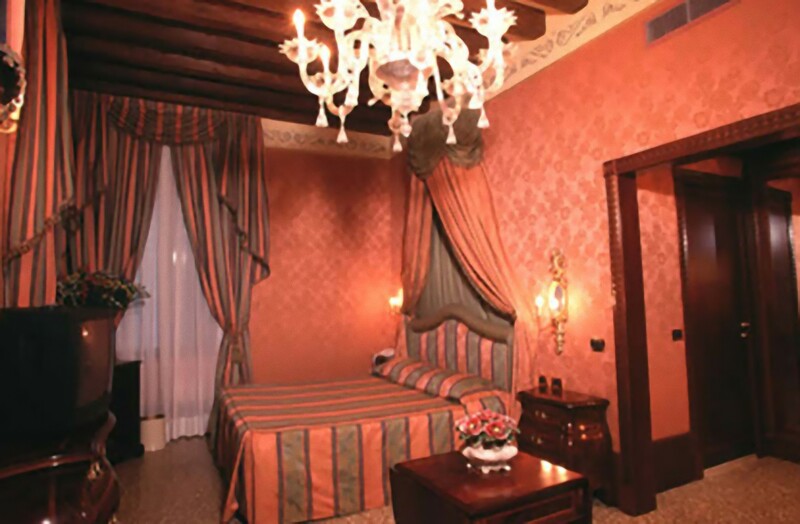 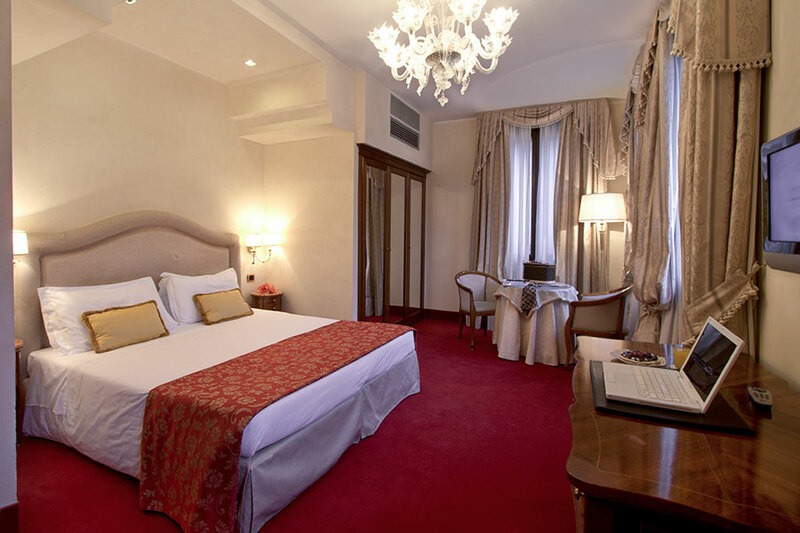 The elegance of these rooms enhances the style of the Hotel, embellished by the Murano Chandeliers. 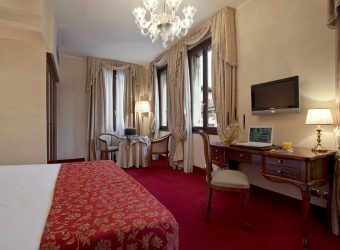 Unlike the junior suites in venetian style, in these rooms the floor has a warm red carpet that makes them cozy. 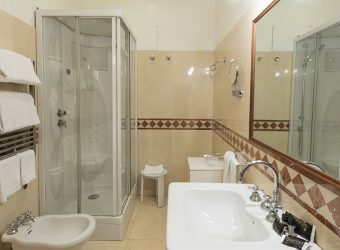 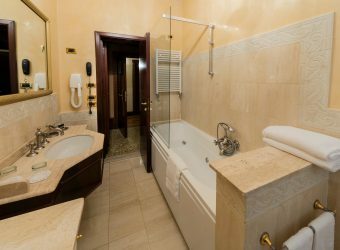 Bathrooms are with Italian marbles and equipped with shower Turkish bath. 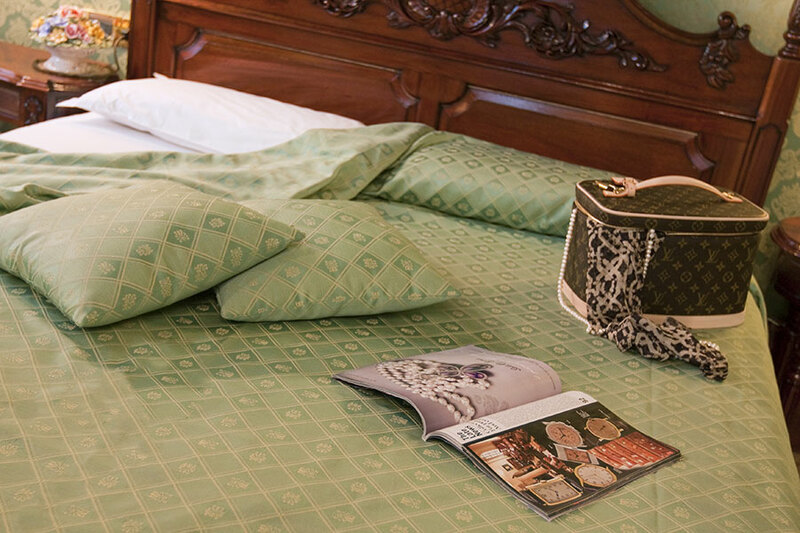 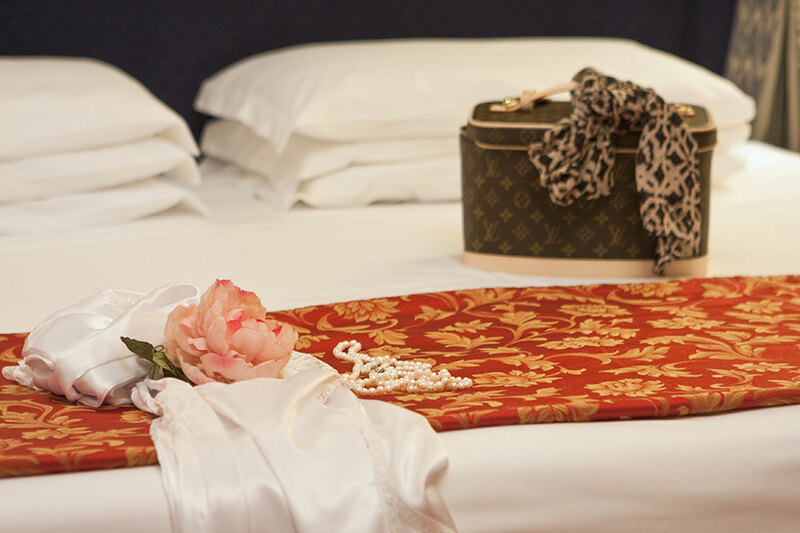 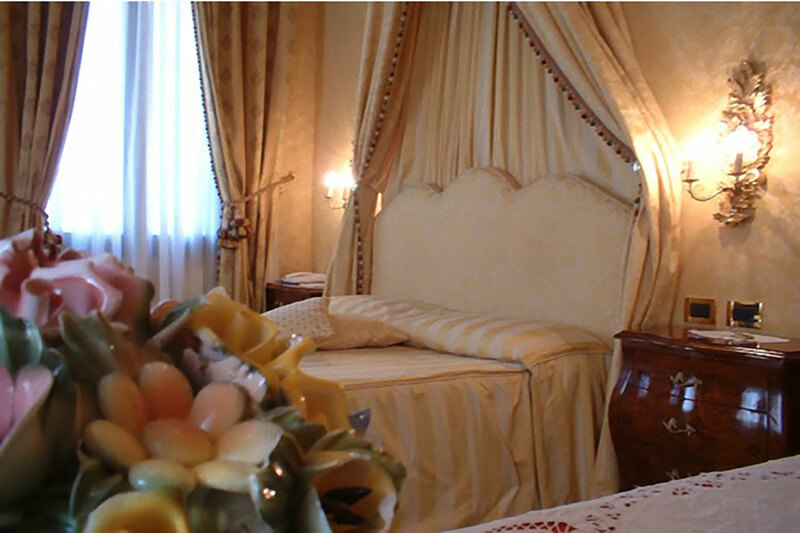 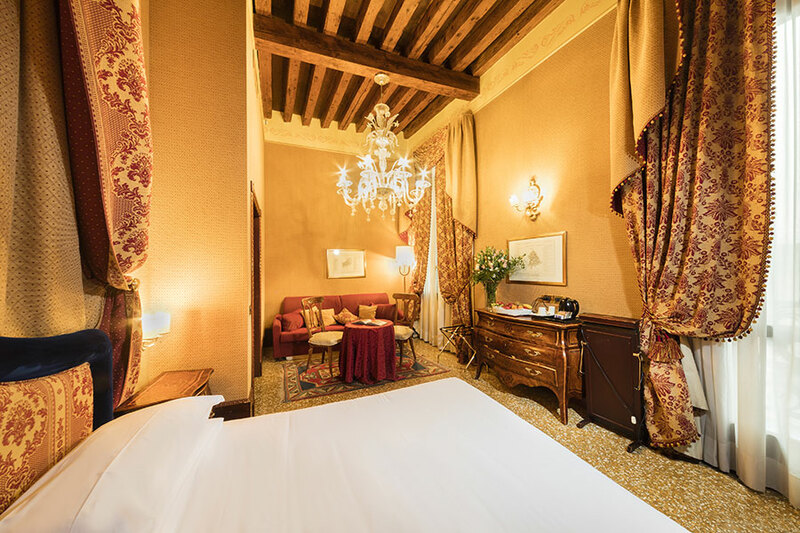 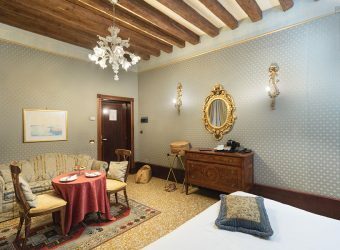 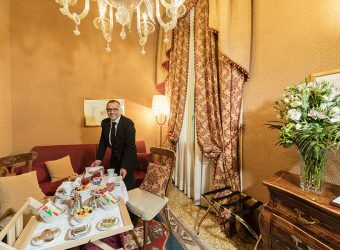 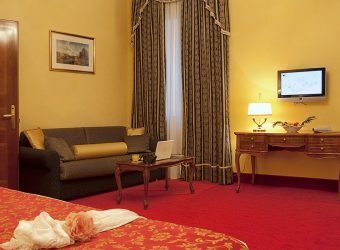 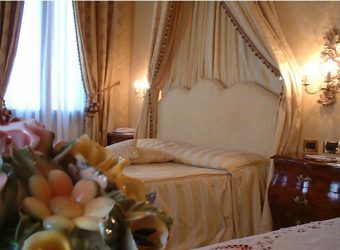 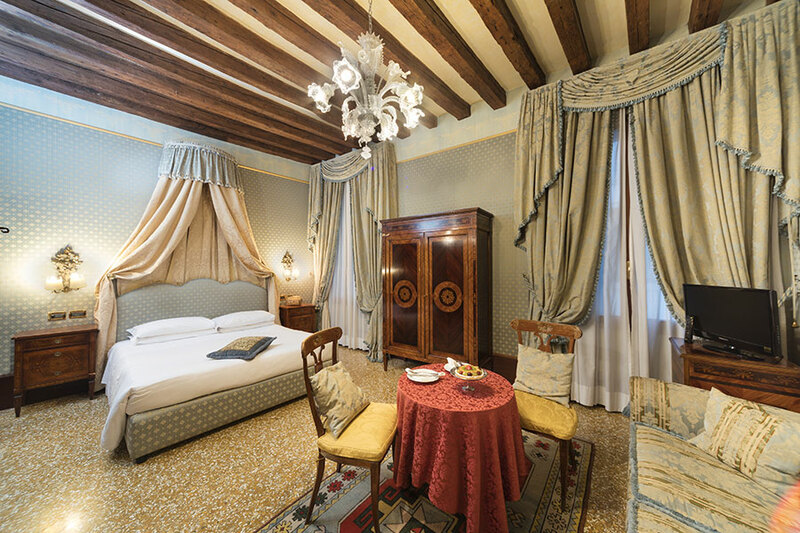 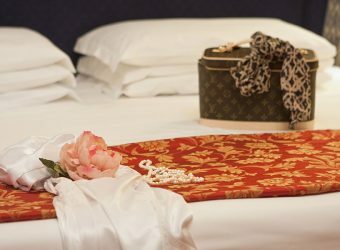 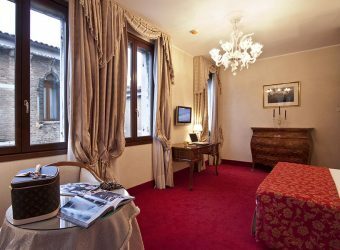 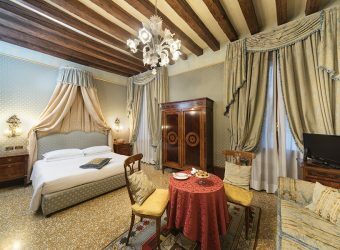 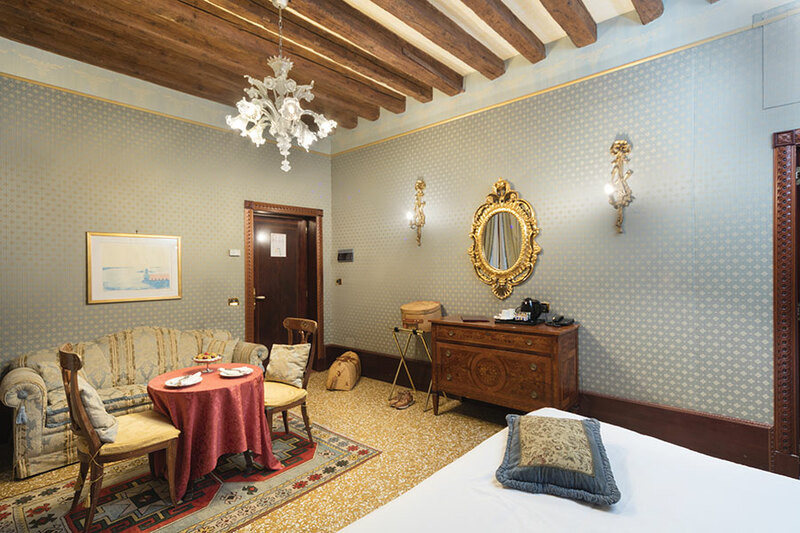 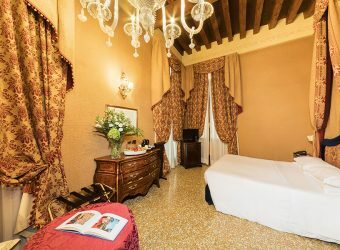 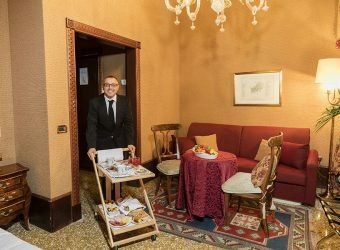 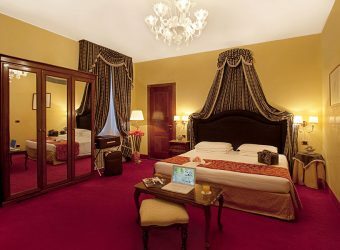 In its uniqueness, the Hotel offers suitable solutions also for families with two connecting rooms: the Junior Suite Casanova overlooking the Bridge of Sighs and the Junior Suite Mocenigo, spacious and with stunning views of the Rio of Palazzo Ducale.